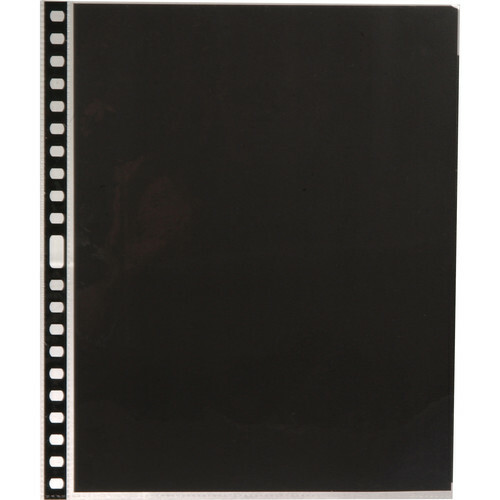 This 10-pack of 8.5 x 11" Archival Sheet Protectors from Start by Prat consists top-loading pages designed to hold photographs, artwork, or inkjet-printed material in a portfolio case or multi-ring album for display in a portrait orientation. The clear, polypropylene pages are compatible with the Start one through four series Presentation Cases, the Premium Presentation case, and the Premium Ring and SE Easel Binders. All Sheet Protectors come with black paper inserts, which are archival and acid-free. Box Dimensions (LxWxH) 11.3 x 9.55 x 0.15"